When ancient men started planting crops, they needed a practical method for turning the soil. But they didn’t get a truly effective tool resembling the plows we still use today until a man with a familiar name patented a steel cast plow called a “grasshopper plow” in 1837. 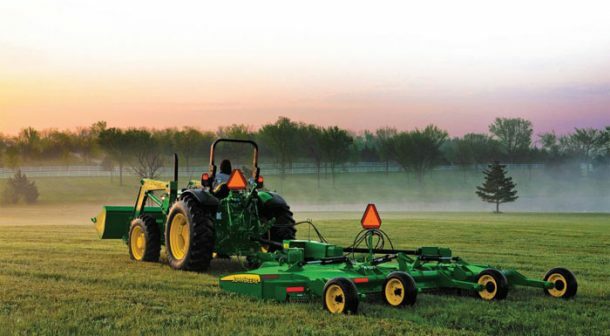 The inventor’s name was John Deere. Since then, plows have gone through a lot of changes, and so have the methods we use to power them. Today, multiple blades are often affixed to a frame to cover a wider area, and there are different types of tractor plows to choose from. Here are the different types of tractor plows and how they are used. The garden tractor moldboard plow uses a blade very similar to John Deere’s grasshopper. It’s hard to improve on something that works so efficiently. Moldboard plows have a large blade with a curved upper edge. 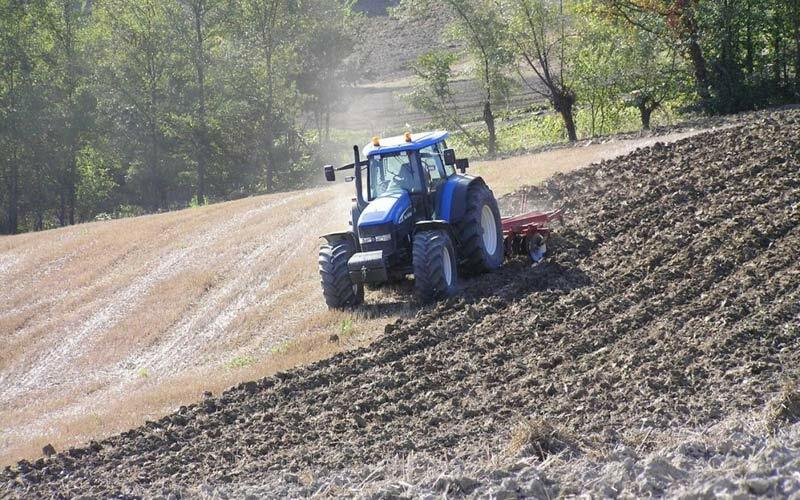 As it is pulled over the ground by a tractor, it bites deep into the earth, cutting a row, turning the earth, and aerating the soil all at the same time, leaving a trough for planting with a mound of loose, aerated soil on the side. If you spread fertilizer before plowing, it is mixed with the soil in the process. Similar in design to the moldboard plow, reversible plows use two or more blades to cover a wider area of land. Each blade makes one furrow. Blades are mounted back-to-back, with one set positioned to turn the earth right and the other positioned to turn the earth left. One blade or set of blades is used at a time, and at the end of a row, the plow sets are switched. This makes the furrows evenly spaced and allows the operator to work end to end in either direction. Chisel plows are generally used to till the soil with less disruption for better conservation. It relies on a curved shank that penetrates the soil without digging it up and turning it. Garden tractor chisel plows come in a variety of widths to meet different needs, and might be straight or twisted. Disc plows are rows of concave steel discs that revolve as they are pulled. Most commonly, disc type garden tractor plows are used to plow exceptionally hard or sticky ground. They work very well in rough ground or to plow a field with hard stubble left behind by a combine. A sub-soiling plow is used to break up the ground beneath a hardpan layer without turning the soil and bringing it to the top. This tills and aerates the soil to create drainage. Pan, or hardpan layers are formed by chemical treatments of soil. They must be broken in order for plants to grow. As you can see, there are many types of small plows for garden tractors to choose from. The type of plow you need really depends on the composition of your soil and the power of the tractor you’ll use to pull it. If you’re unsure of what garden tractor plow you need, ask your dealer for advice.